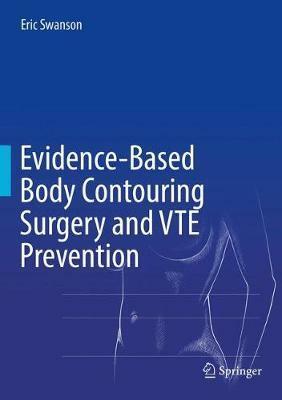 Intended as a companion to the recently published, Evidence-Based Cosmetic Breast Surgery (978-3-319-53957-7), Evidence-Based Body Contouring Surgery and VTE Prevention once again concentrates on the science, relying on data rather than expert opinion. In his familiar detail-oriented style, Eric Swanson critically evaluates popular body contouring procedures such as liposuction, abdominoplasty, arm lifts, thigh lifts, and buttock fat transfer. The source material is published in the major peer-reviewed plastic surgery journals. The conclusions frequently challenge conventional wisdom. Fat redistribution theory is dispelled. A unique chapter titled "The Metabolic Effect of Liposuction" reveals some surprising positive effects of liposuction. The limitations of alternative nonsurgical treatments are the subject of a chapter titled "Evaluating New Technologies." A novel chapter describes SAFE (Spontaneous breathing, Avoid gas, Face up, Extremities mobile) anesthesia as a replacement for traditional general endotracheal anesthesia - lowering risk, minimizing blood loss, and reducing recovery times. The last two chapters will have many readers reconsidering traditional methods of venous thromboembolism (VTE) prevention. Chapter 12 exposes the shortcomings of risk prediction methods and routine anticoagulation. The final chapter describes the use of ultrasound for VTE surveillance. These chapters will likely find an audience among surgeons from all specialties and anesthesiologists. For scientifically inclined readers, whether seasoned surgeons or residents, this unique resource may well lead to evidence-based changes in their practices. Dr. Eric Swanson is an outspoken advocate for the application of the scientific method to cosmetic surgery, an approach known as evidence-based medicine. Dr. Swanson is a frequent presenter, invited faculty member, and course instructor at the meetings of the American Society of Plastic Surgeons and the American Society for Aesthetic Plastic Surgery. In 2002, Dr. Swanson embarked on a multi-part clinical investigation of cosmetic surgery, using the tools of science to study cosmetic surgery - patient outcome studies, prospective clinical studies, laboratory tests, and measurements using computer-assisted imaging and MRIs. In 2012, Dr. Swanson published a new system for measuring the results of cosmetic breast surgery. His landmark photometric studies reveal the limitations of breast "autoaugmentation" and traditional surgical methods. Dr. Swanson's clinical work, measurements, and outcome studies have culminated in over 100 publications in the top peer-reviewed plastic surgery journals. In 2015, Dr. Swanson received the award for "Best North American Paper" from the Journal of Plastic and Reconstructive Surgery-Global Open. Dr. Swanson is certified in plastic surgery by the Royal College of Surgeons of Canada, a member of the American Society of Plastic Surgeons, a member of the American Society for Aesthetic Plastic Surgery, a member of the American Association of Plastic Surgeons, a Fellow of the American College of Surgeons and a Fellow of the Royal College of Surgeons of Canada. He has practiced in Kansas City since 1989 and specializes exclusively in cosmetic surgery. He is also a member of the hospital staff of Shawnee Mission Medical Center. 251 Tables, color; 257 Illustrations, color; 14 Illustrations, black and white; XIII, 334 p. 271 illus., 257 illus. in color.